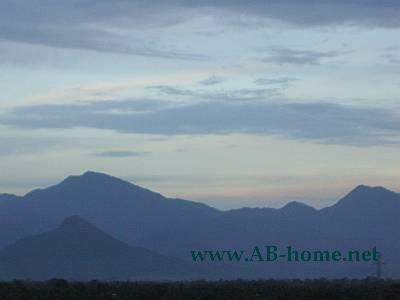 In 2006 Marius and I was at Nakhon Si Thammarat in Thailand. 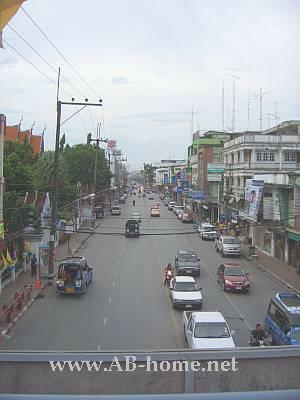 We traveled from Sichon to this City in Southeast Asia. We took the public Bus connection witch was about two hours. We was staying at the “Thai Hotel” at the north end of Nakhon. The price for this good managed Hotel was 270 Thai Baht for a double room with TV, Fan, Hot Shower and a Fridge. The first evening we was for dinner at “Rock 99 Bar and Grill”. This tip we found in our Lonely Planet for Thailand. We eat some Farang Food and after we drunk some Chang Beers and Long Island Ice Tea Cocktails till we was drunken. The next morning we don’t was good at all. But we stand up for a breakfast at the Restaurant from the Thai Hotel in Nakhon Si Thammarat. After we walked a bit threw this Thai City to watch some sights like the “Bethlehem Church”, Wat Maheyong Temple and the Shiva Shrine. Our highlight in Nakhon Si Thammarat in Thailand was the Wat Sema Meuang and the landmark Lak Meuang. From here Marius and I took a Bus to Krabi in Thailand, Southeast Asia. For More Backpacking Information read your Lonely Planet or ask at the Hotel or Guest House desk. We enjoyed the visit at this Thai Province. For sure it don’t was a highlight on our Thailand Travel Tour but Nakhon is a typical City here in this area and have a lot to explore. 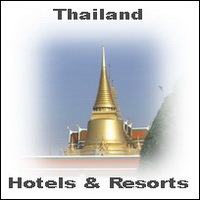 It’s perfect for Travelers and Backpacker who don’t like Touristic Destinations like Patong or Koh Phi Phi.